Water is one of the most precious resources and we cannot leave without it. All living beings require water to survive. Therefore, it is very essential to care for water and use it wisely. Reducing the wastage of water will help to preserve the environment. Water conservation reduces the amount of energy required to process and deliver water, which in turn helps in reducing pollution and conserve fuel resources. When talking about the availability of water per person, the UK has less available water as compared to most other European countries. In the United Kingdom, every person uses about 150 litres of water a day; this figure has been growing every year by 1%. Taking into account the amount of water required to prepare food and to produce various other items, around 3400 litres of water is used per day. Almost 25% of household’s energy bill comes from heating water. Further, domestic hot water leads to about 5% of UK greenhouse gas emissions. By making little changes in your lifestyle and buying more water efficient products you can save water without the need to spend a lot of money. Water efficiency can be achieved by reducing the amount of water you waste on a daily basis. The water used at home is usually divided as toilet flushing (30%), personal washing-baths and taps (21%), Personal washing-showers (12%), clothes washing (13%), washing up (8%), outdoor (7%), other (5%) and drinking (4%). A running tap can waste more than 6 litres of water per minute. 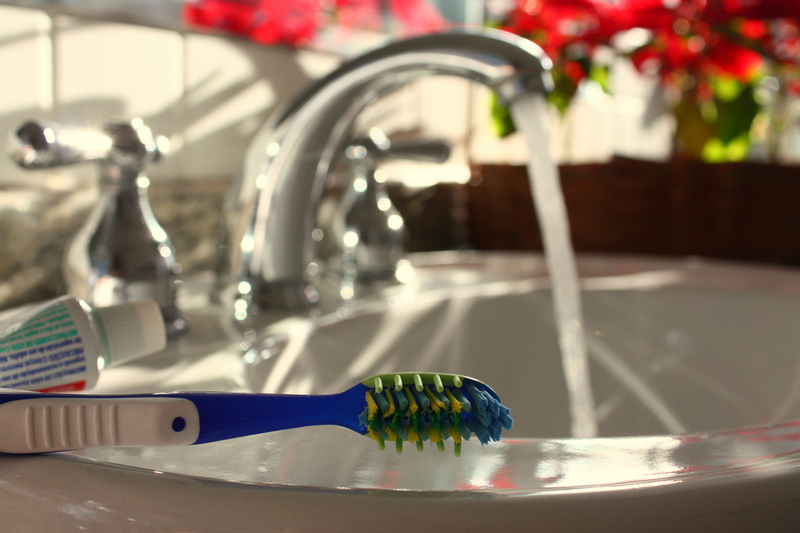 Therefore, always keep in mind to turn off the tap while brushing your teeth. Try to take short showers in order to save water. A bath generally uses around 80 litres of water, on the other hand, a short shower use just as little as a third of that amount. Before using your washing machine or dishwasher, make sure they are fully loaded. By filling up your dishwashers and washing machines, you’ll be able to save a huge amount on your energy bill. Also, familiarise yourself with the cycle options of your device. Make certain to wash your fruits and vegetables in a bowl instead of washing them under a running tap. This will contribute towards cutting down on water waste. Don’t throw the leftover water; instead use it in watering your plants. There are several water supplying companies in the United Kingdom that provides essential tips to their customers to conserve and reduce the wastage of water at home. One of the leading water supplying company in the UK is Anglian Water. It is a part of the AWG plc group and supplies water and wastewater services to the major and one of the driest geographical areas of all the water companies in England and Wales. For more details about their services, you can use Anglian Water contact number and speak directly to their customer care advisors.